Las Vegas, Nev. – Low-fare carrier Frontier Airlines today announced non-stop service from McCarran International Airport in Las Vegas (LAS) to Charlotte Douglas International Airport (CLT). 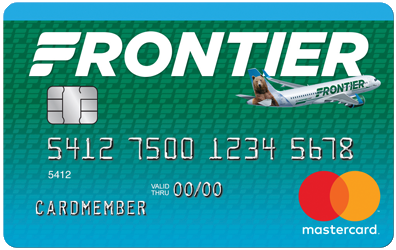 Service starts July 10 and to celebrate the new route, Frontier is offering a special introductory one-way fare of $69* which is available now on flyfrontier.com. Frontier Airlines is committed to families, and what better way to demonstrate that than helping America’s kids fly for free. Children 14 years and younger can now fly free when traveling with an adult through the airline’s Discount Den travel club on qualifying flights. With more than 100 destinations to choose from, Frontier is removing the obstacles for families to travel together whether it’s for a sunny vacation or a visit to grandma’s house. It’s easy to take advantage of Kids Fly Free. And the math is easy, too – one kid can fly free for every adult who books at flyfrontier.com. Simply select a flight on a date that is qualified for Kids Fly Free which is easy to find as it’s marked with a Kids Fly Free logo beneath the Discount Den price. Additional information about Kids Fly Free is available at https://www.flyfrontier.com/kidsflyfree. Depart LAS: 2:07 p.m. Arrive CLT: 9:29 p.m. Depart CLT: 8:35 a.m. Arrive LAS: 10:18 a.m.
Frontier Airlines is committed to delivering ‘Low Fares Done Right’ to more than 100 cities in the United States, Canada, Dominican Republic and Mexico on 350 daily flights. Headquartered in Denver, Frontier Airlines is the proud recipient of the Federal Aviation Administration’s 2018 Diamond Award for maintenance excellence and was named the industry’s most fuel-efficient airline by The International Council on Clean Transportation (ICCT) as a result of superior technology and operational efficiencies. Fares must be purchased by 11:59 p.m. Eastern time on Mar. 31, 2019 for non-stop travel. Travel is valid Tuesdays and Wednesdays, through Nov. 13, 2019. The following blackout date applies, Sep. 3, 2019. Fares are one way and do not require roundtrip purchase. Tickets purchased at FlyFrontier.com must be paid for at the time the reservation is made, you may request a full refund up to 24-hours after the time of purchase if the purchase is made seven (7) days (168 hours) or more prior to your flight's departure. After the 24-hour period, to cancel a non-refundable ticket, a fee of up to $119 per passenger will be charged. The value of the cancelled ticket may be applied toward the purchase of a future ticket for 90 days after cancellation. The ticket may be canceled and refunded at the My Trips section on FlyFrontier.com. Additional travel services, such as baggage (https://www.flyfrontier.com/travel-information/baggage/) and advance seat assignments (https://www.flyfrontier.com/travel-information/seating-options/) are available for purchase separately at an additional charge. Fares include all transportation fees, surcharges, and taxes, and are subject to change without notice. Some markets do not offer daily service. Schedules are subject to change without notice. Unless otherwise indicated, all flights are operated by Frontier Airlines. Other restrictions may apply.